I often think that language fluctuates with our health, functioning in no small measure as an indicator of our well-being. Happy people talk a lot, and they have much to say. They use colorful words, they make an effort to express their thoughts and explain them with words that shimmer with joy and meaning. They want to make sure you don’t miss any part of their story of the day, whatever that is. Children are an amazing example: when they are happy they talk, and they talk, and they talk, following you around the house like little engines that no one can turn off. There is a vibrancy of language there that to me, at least, signals the soul when it is utterly alive to the world. When we are unwell physically, emotionally, or spiritually, we migrate inwards. Take for example the spouse or the parent who is receiving treatments for a heavy illness, or who has lost a job. We communicate less, and eventually retreat into silence. Or take the child who is being intimidated or bullied at school. Language itself becomes sparser, more obscure, as we tend to hide our pain behind few well-chosen words, so that we could take the much-needed time to heal. When we re-join the buzz of the world, we re-join it first with words: we talk more, we return calls, we describe in more detail. ‘Speech after long silence”–Yeats’ line comes to mind. An altogether different phenomenon takes place in public life. Paradoxically, when the world is well, if ever, we receive fewer news, and the language is more bland. I am nostalgic for the Obama years when I was happy to skip the evening news and settle for some documentary, or a book, or cooking with a glass of wine and the noise of the family around the kitchen. Since we elected our new president, I am going to bed every single night with a splitting headache, and the more the head hurts, the more obsessively I watch/read/listen to the news, hoping for some kind of reprieve. What I notice instead is the alarming rate with which the public discourse has been deteriorating. Inflamed, disrespectful language has been churning all over the world, launched from our own very seat of power to the point that today, as I write this, we are on the brink of nuclear war with North Korea. Closer to home, the temperate voices of those who are asking Americans to please consider asking our government to provide services for all the tax money we obediently send into its coffers, are drowned into inflamed rhetoric that slaps the word ‘socialism’ into people’s faces to confuse them into accepting a health care system meant to feed the crooks. The language used in our current public discourse gives me a deep sense that our well-being as a people is in question: we live in a society where few have too much, most have too little, and everyone in power is fighting for the soul of the poor with populist rhetoric that only stokes more fear and uncertainty. Listening to debates over health care, reading tweets from the highest office of power, watching the news that would inflame every conflict on earth just to get a headline that pays with ratings, makes me wonder about the notion of temperate, moderate language. At deeper levels language is a barometer that constantly measures the health of a culture. Clearly the words we are being fed every day–from news to advertising, to cheap TV shows that play at people’s delusions, to political slogans–are very well-chosen and calibrated for very specific psychological effects, which yield the most financial rewards. Language is, after all, a construct, and a means of communication. I wish it could be calibrated for a sense of balance, and reason, and calm, so that we can see through the whirling sand in order to make our way to safety and peace. Save the Date: Offshoots 14 Launch! Please join us in celebrating the brand new Offshoots 14! The launch will follow the afternoon critique session after the first GWG Workshop of the year, "Finding Your Gold: Journaling and Essays" with Susan Tiberghien. (Please register online at https://genevawritersgroup.wil dapricot.org/Programs-Workshop s). Patti Marxsen took a short break from her busy schedule as the editor of the latest Offshoots literary journal to answer our questions about her life as a writer. She has so many strings to her bow, I hardly know where to start: researcher, journalist, translator, writer, reviewer, art historian and essayist. She can be seen at many GWG events with her camera in her hand and can be found online at www.pattimarxsen.net and on Twitter @pattimarxsen. Where did your love of books/storytelling/writing come from? I like your question because I think the desire to write happens in the same order: first, a curiosity with the existence of books … then the discovery that these objects contain whole worlds within their covers … then the thought, “Maybe I could do that!” I think I wanted to crack the code of the world from an early age. Books were in my home but not in great number. We also had music and art and unusual objects from our military lifestyle: Japanese porcelain, lacquer, ink drawings, and kimonos; chip carving from the Black Forest, Dresden figurines, and landscapes of German villages painted in the 1950s; also my father’s beloved big band records in a gold leather album and my mother’s piano. Books were part of the smorgasbord and I suppose language had a special appeal. I spent most of my first 12 years in bilingual places—Germany and Texas, where I learned Spanish in elementary school. The many uses of language felt natural and important to me from an early age. I also lived in South Carolina, Georgia, and Alabama where I was exposed to the American “patois” of black and white Southern voices. I was also blessed with a fantastic French teacher at age 14. What sort of writing do you do and why? This has evolved over time, as I believe it does for most writers. For the past 6 or 7 years, I’ve been immersed in biography because biography as a genre draws on the bag-of-tricks I’ve managed to amass over the years: research skills, a capacity to manage long-term projects and big documents, and some level of narrative art. It also calls for patience that I probably didn’t have in my thirties. Later, I didn’t have time because I was in a full-tilt career managing communications/ publications for cultural NGOs in New England. The “why” a writer writes what s/he writes is, inevitably, related to circumstances and skill sets that are always changing. That said, within the vast genre of biography I find myself attracted to people barely known in the English-speaking world. I see myself as a “bridge,” thanks to the art of translation, which is something I like to do and believe I do rather well. Also, contrary to all myths about the 50+ years being peaceful, I find myself increasingly outraged at the ignorance and injustice I see in the world. Biography offers an opportunity to explore these realities through the prism of an individual life. In that sense, it’s an act of witness as well as an act of interpretation. These days, I’m driven by my work on the life of Haitian writer and public intellectual Jacques Roumain (1907–1944), in part because his voice is so relevant to our own time. Finally, I want to add that a lot of my writing has been less than literary. I’ve done reams of culture journalism, writing sometimes referred to as “soft news.” I’ve also published a number of articles for CATS Magazine, mainly because I love cats. And then there are the 2,000-plus radio ads I banged out in Maine in the early 1990s that will surely not be archived anywhere! It might be easier to tell you what doesn’t: overrated best-sellers, predictable plots, novels full of unlikeable people, recovery memoirs aimed at revising bad decisions into heroic acts, dull dialogue, sloppy prose, and one-sentence paragraphs. Obviously, I’m a crank and a snob—or both. On a more positive note, I’ve been under the influence of French literature for a long time. On that channel, I deeply appreciate the work of Marguerite Duras. She was such a courageous, curious writer who worked at novels, short stories, film, and memoir. She was also full of contradictions … so totally human. I like real people who turn the chaos of life into art. I’d place Swiss writer C.F. Ramuz in that category as well, along with many of the Haitian writers I read. Haitian literature is always political and yet very poetic. I’m especially fond of Yanick Lahens, who won the Prix Femina a few years ago for Bain de lune, and I just finished Avant que les ombres s’effacent, winner of the 2017 Orange Prize by Louis-Phillipe Dalembert. In English, I’m sorry to say, I usually prefer Irish or British writers. Who can resist the pitch-perfect prose of Julian Barnes, John Banville, Iris Murdoch, or Edna O’Brien? Gabriel García Marquez is another magnetic writer, though I read him in translation. He’s best known for One Hundred Years of Solitude and Love in the Time of Cholera, but I highly recommend The Autumn of the Patriarch, especially in this era of dangerous tyrants. That novel was inspired by the thirty-year dictatorship of Rafael Trujillo in the Dominican Republic; brutally truthful fiction. I have to quibble with your question because I’m not sure I “enjoy” writing in any conventional sense of the word. I mean, I enjoy ice cream and I enjoy letting my eyes travel across a canvas of Monet’s waterlilies. But I don’t enjoy writing in that way. What I DO enjoy is getting a hold of an idea and exploring its potential … that enlivening phase feels full of possibility. I love that. But once an idea becomes “a writing project,” the “working writer” takes over. I set goals and deadlines for myself, edit myself without mercy, push myself to navigate tough spots, chase threads and detours. No matter how much I’m interested in the topic or how inspired I feel initially, it becomes four-letter word: W-O-R-K.
What (if anything) has surprised you most since publishing your first book? I had published articles of all kinds and developed books for other people and organizations long before Island Journeys: Exploring the Legacy of France appeared in 2008. That collection of travel essays about islands with French connections was not especially surprising. Rather, it was satisfying, just as a good article or essay can be. My article “The Quest and the Question in C.F. Ramuz’s Si le soleil ne revenez pas…” appeared the same year in the French Review and was almost as satisfying as my “first book” because the French Review is prestigious and the work was the culmination of a lot of reading and research. Well, I think we’re all aspiring … if not to write a first book, then to be the best writer we can be at any given moment. The only advice I can offer is that all of this takes time and, so, the only way to achieve anything is by working consistently for the long haul. You really have to make a place in your life for this kind of work. You have to value it and take yourself seriously. And you have to learn to say “no”—and “no thank you”—if you want to be productive. 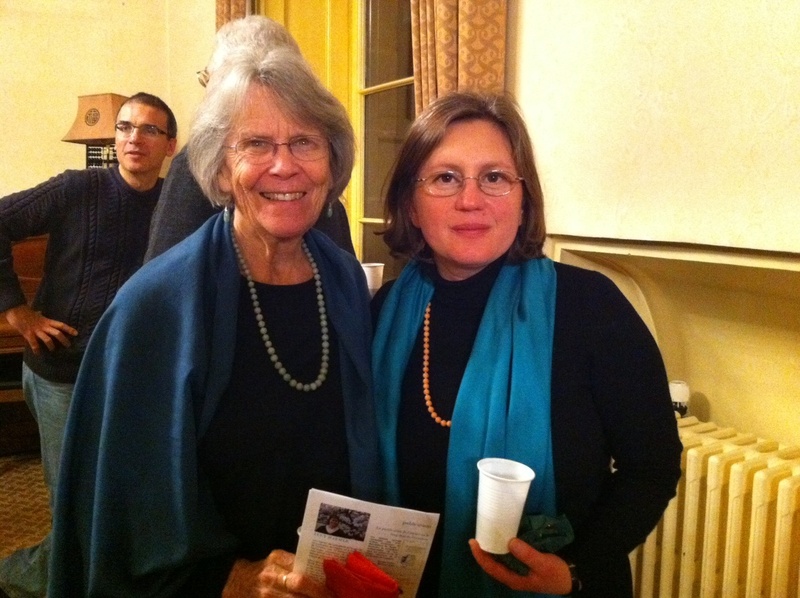 How did you become involved with the Geneva Writers’ Group? I attended my first workshop at the Press Club in September 2007. I remember it VIVIDLY because it was startling to hear so much English in one room after living in Thun for six months and barely hearing any English at all, except my own and from my husband, Hans-Peter, for whom English is a fourth language. 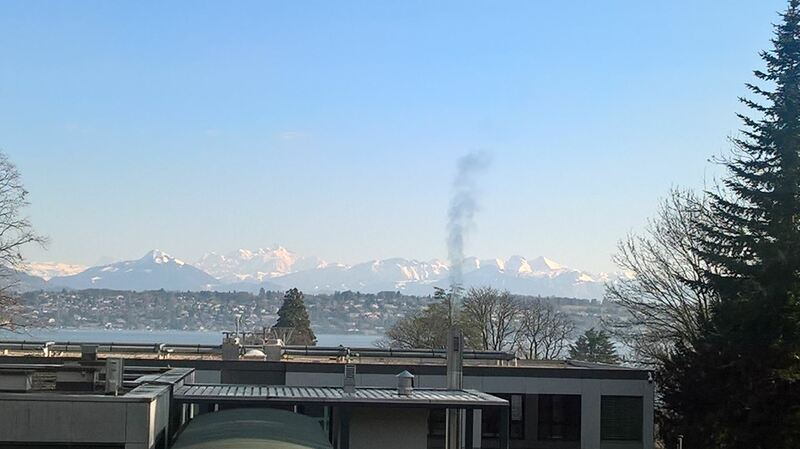 I had come to Switzerland that March and we married in June. Switzerland was all new and difficult. Then, suddenly, here was a room full of English and Susan walking toward me in some flowing sort of wrap with a big smile and arms open for a hug. You are the editor-in-chief of the latest edition of GWG’s literary journal Offshoots with the theme ‘Fragile States’. Can you tell us a little more about your concept for the journal and how you feel the writers responded to this theme? This loops back to some of my earlier remarks about the state of the world, which includes our fragile environment, our geo-political relations, and also the reality of being the fragile human beings that we are. This theme was meant to be a statement as well as an invitation to GWG writers to interpret fragility in unexpected ways. And nearly 100 writers who submitted work did exactly that! When Jenny (Bew Orr) and I sat down to work out the sequence of selections—because we both agreed that how an anthology “unfolds” matters—we identified some themes within the theme: childhood/adolescence, motherhood, migration, nature, spirituality, and betrayal, among others. In other words, the work is quite varied. And Sue Niewiarowski’s sensitive design and Alistair Scott’s photos extend the mood and meaning of the work beautifully. Offshoots is never just for the contributors selected. I hope all members of GWG take time to read this year’s edition and, better yet, share it widely. 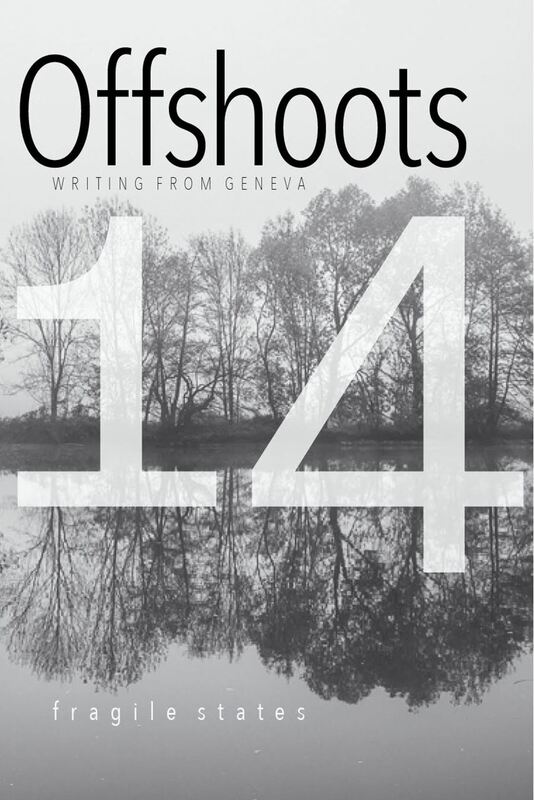 And now, a special, exclusive treat for all our members: the cover reveal of Offshoots 14. I hope you'll agree it's a beautiful addition to our catalogue! 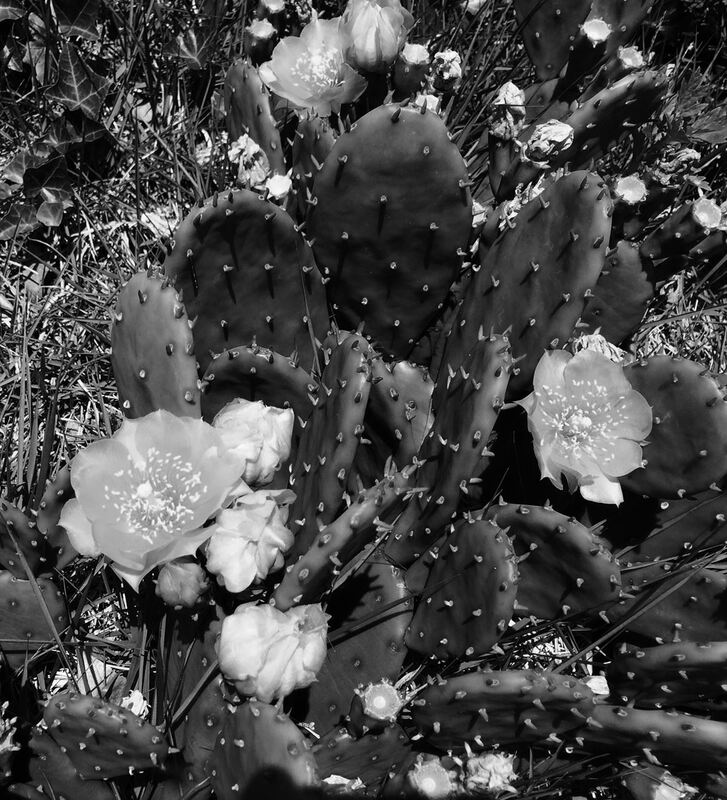 The nature writer Sigurd Olson seemed to have spent his time on earth gathering singular moments from the rush of time, crafting them in unforgettable words, so that we too can experience the healing wonders of nature. This book caught me by the heartstrings, and part of me wants to memorize every page of it. Whether it’s simply the nostalgia I feel for Lake Michigan, that one Black Sea that had sustained me through the first years of exile in the States, when I pined for the sound of the farm life in the mornings–the roosters calling across the village– or the coin of the moon that hung above the precipices of the Carpathian mountains of my childhood, I don’t know. I don’t know if Olson speaks to me because I am increasingly anxious with every Ar Quality Index warning that I receive in my inbox during the summer season, or when I return from the beach saddened because it is often unfit for swimming, here where I live now. But these worries aside, I feel grateful to have this book, and to be able to return to Olson’s meaningful, beautiful words, where I could find solace even if I am struggling to breathe in the heart of the city. I am grateful that his work has been and will remain a catalyst for change, that it has raised awareness about the need to safeguard our magnificent national parks, where, as he says, we too can hear the singing wilderness and feel renewed. 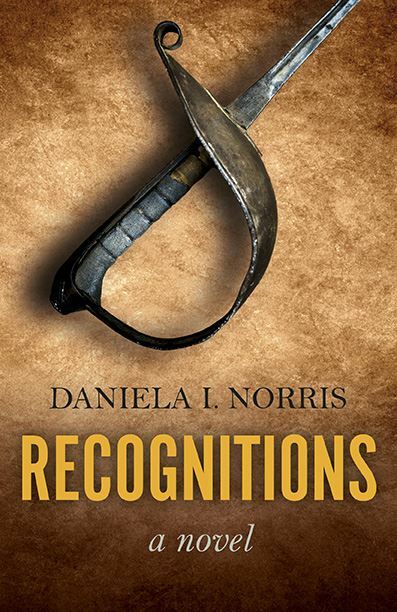 Daniela I. Norris is Canadian-Israeli, a former diplomat turned political writer , inspirational author and speaker. Her stories, articles and essays have been published in numerous newspapers and magazines, have appeared in six different anthologies and won numerous awards. 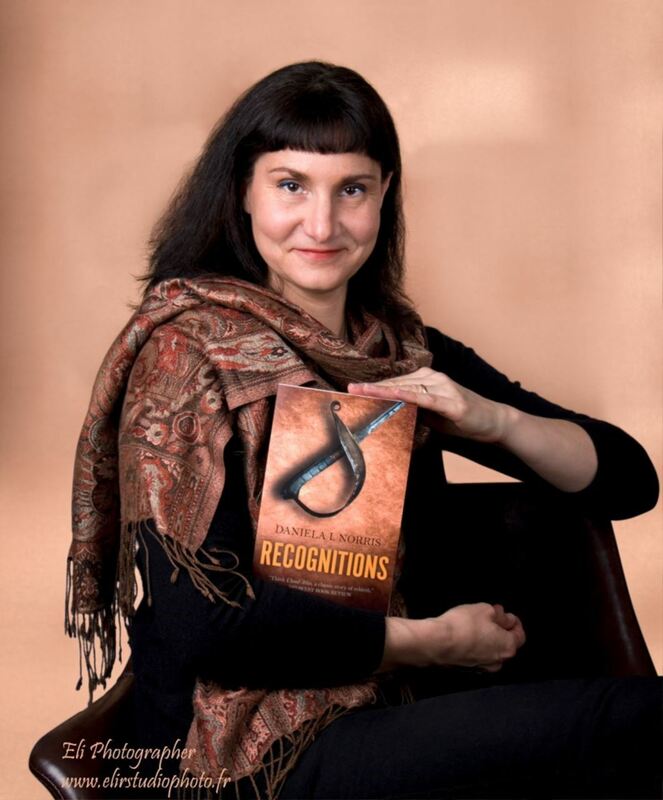 She has also published a non-fiction book On Dragonfly Wings – a Skeptic's Journey to Mediumship and a novel Recognitions, the first volume in a planned trilogy. For more information about Daniela and her books, please visit her website. or follow her on Facebook or Twitter. Daniela was a committee member with the GWG and co-organiser of the 2016 Conference. 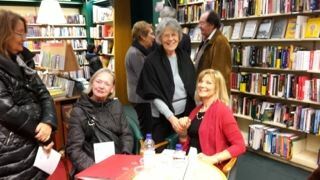 Although she has now moved to the UK, her heart is still very much with her fellow authors in Geneva. I always knew that one day I’ll become a writer, but I also knew that I needed to live, love and learn about life before I could write about it. My day-jobs included several student jobs: a year of waiting tables, two of translating movies for subtitles, one summer of riding across the country on a motorcycle for an advertising campaign, four years as a flight attendant for an airline while I completed my studies. This was followed by two years in the military and then seven years as a diplomat. About half way through all that I started writing and publishing - and a few years ago I dropped everything else and started writing full-time. So the love of reading and writing was always there, but I also needed to learn quite a lot of things along the way before I could write about them! While initially I considered myself a political writer, these days I write about more inspirational themes, namely the possibly pre-determined role some people have in our lives. I am fascinated with the topic, and over the last five years I’ve trained as a hypnotherapist and a past-life regression therapist – initially for the sake of curiosity, then research. As you can probably imagine, this gave me a lot of writing material! What’s the biggest misconception people have about your genre? There are many who don’t believe in the concept of past-lives, or who don’t consider themselves ‘spiritual’ or interested in inspirational stories. To these potential readers I can only say: that’s absolutely fine, you can enjoy these stories even if you don’t believe in any of it; it’s not about believing, it is about keeping an open mind. I love reading novels by Paulo Coelho, Elizabeth Gilbert and David Mitchell, among many other novelists. I also enjoy non-fiction: biographies, true inspirational stories and history. Tell us a little bit about your publishing journey. So I’ve tried a bit of everything: self-publishing, traditional publishing and hybrid-publishing. I enjoyed all these experiences, and am curious to discover what the future holds for the subsequent novels I am now working on! I enjoy the freedom it gives me to explore new ideas, meet new people (imaginary and real) and to a large extent be out of the rat race. I also love the actual writing process – of taking an idea from thought into written words and then seeing the actual printed book. I feel it is like a phase-transition, a de-sublimation, a deposition of an idea. The most difficult at this point in my life is carving out the time, with a young family – I have three lovely boys who have many demands on my time and attention. So, routine is a big word for my current writing process – I write wherever and whenever I can. On the train, in the car while waiting for my kids to come out of school or other activities, in the middle of the night when I can’t sleep, and of course – during the day when the boys are at school. There are days when I write for five hours, other days when I write only for five minutes. But I write every single day! How did you hear of GWG and in what ways has it been significant for your writerly career? I first came to the GWG in 2008, a year after I moved to the Geneva area. I’ve joined the steering committee shortly after and served on it for eight years – until I recently stepped down because I plan a lot of travel and moving around in the coming few years. 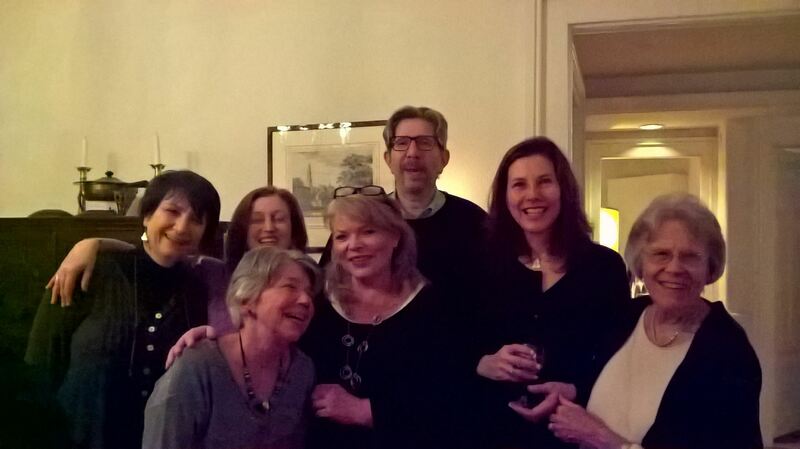 Through the GWG I’ve made many friends and met many wonderful people – other writers, as well as publishers and agents. It is a fantastic support network for writers – beginners and multi-published alike. The single advice I can give – and it is relevant to everything in life, not just to writing – is to never give up if the flame of writing burns within you. Don’t give up on your idea, don’t give up on finishing that story or that book, and don’t give up on getting it published. Seeing things through is often the biggest challenge of new writers, but if they do see a project through, then it is also their biggest triumph. Thank you, Daniela, for those lovely encouraging thoughts. If you are a published author and a member of GWG, we would love to feature you in this series, so please do not be shy about getting in touch. We intend to start a new series in the future with unpublished writers, provisionally entitled 'On the Brink of Discovery'. Today we are talking to one of our members who has devoted her writing life to non-fiction. Lesley Lawson Botez says writing is her passion, psychology is her motivation. With professional qualifications and active in both communications and psychology/counselling, she enjoys exploring new topic and understanding underlying patterns. She is coordinating this year's Geneva Writers' Group Literary Prizes, after being a runner-up in non-fiction herself in 2014. I was very lucky to have had wonderful English teachers at each school I attended. Miss Williams and Mrs Tobias in boarding schools in Sussex, Peggy Sutcliffe, now Mrs Peggy Strong, at Brilliantmont in Lausanne. I am still in touch with Peggy Strong, now over 100 and living in Bex. She told me that she had never had a pupil like me, not before nor since. I was very proud and delighted to receive many prizes for English. I write non-fiction and have made my living as a commercial writer. I began as a copywriter at Saatchi then set up my own communications agency specialized in industrial communications. I love to know how things work, to research and glamourize them. I wrote some articles for the Financial Times and Newsweek and was the Romandie correspondent for Swiss News which allowed me to give a more factual base to my writing. I went on to become head of communications for a private banking group and later was a staff writer and in charge of field publications for the ICRC. 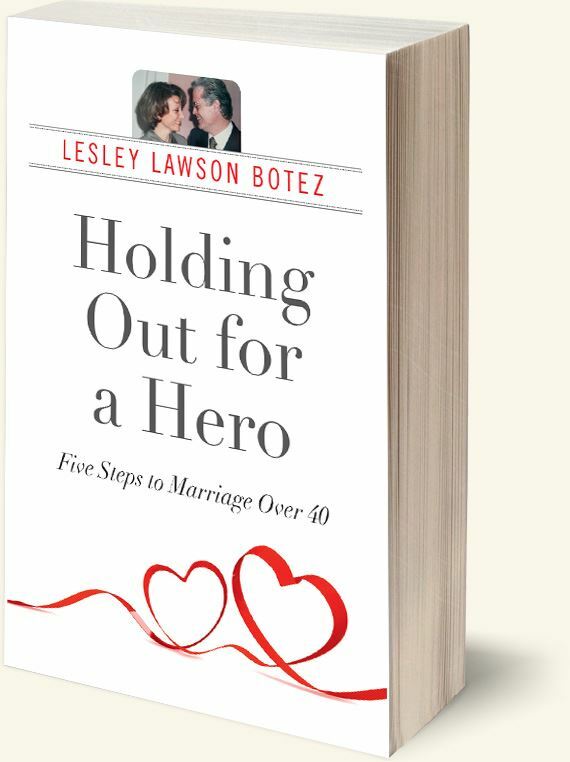 My book, Holding Out for a Hero, Five Steps to Marriage Over 40 is non-fiction and sprung from my PhD research and my own experience as a 40+ bride. I have entered the Goodreads challenge for the third year running and am a member of Geneva’s beautiful Société de Lecture library which gives me access to many books I wouldn’t have chosen otherwise. Amongst those I’d mention Mohsin Hamid’s How to get filthy rich in rising Asia, Chimamanda Ngozi Adichie’s Americanah, Teju Cole’s Every day is for the thief. I enjoy Joyce Carol Oates for the depth and consistency of her work, Kate Atkinson for her sense of humour and Ian McEwan for his range of subjects. My favourite book in recent years is Julian Barnes' The Sense of an Ending and my all time favourite writer is Doris Lessing. 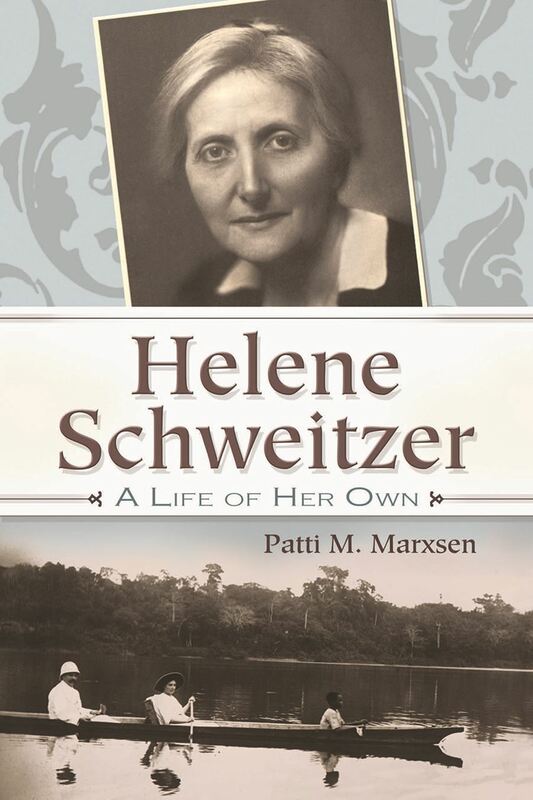 Her work shaped the thinking of women of several generations, my own included. 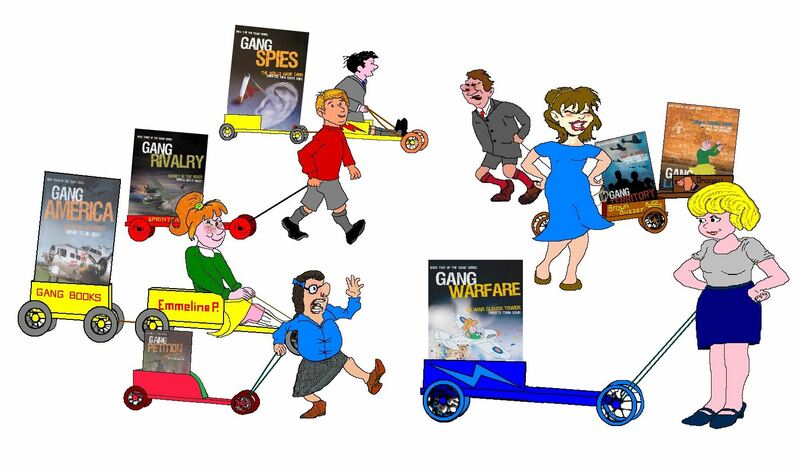 When my book was ready to be published, I approached agents that I had met through GWG. The first needed me to have 50,000 Facebook friends before she could present my relationship self help book to a publisher. Apparently it is a huge market but very oversubscribed. The second said this was not her market although she was faced with the decision of whether to marry at 40 herself. I then approached John Hunt Publishing through a Swanwick Writers School contact. They immediately responded that I, unlike some 90% of writers who sent them manuscripts, had been selected for further discussion. I was flattered and decided to accept their offer rather than risk refusal elsewhere. I think that John Hunt did an excellent job on the cover and the layout, a bad job on the editing and a disappointing job on promotion. I like to research and get the facts for a story and I like to see the product blossom under my pen. I have to have a deadline and be commissioned to write a piece. This spurs me on. I need to know that I will be read, I can’t just write for the sake of it. I knew of GWG from its very beginning. I joined the American Women’s Club Writing Group through fellow Swiss News journalist Sally Alderson, one of the original GWG members, in order to have my copywriting critiqued. 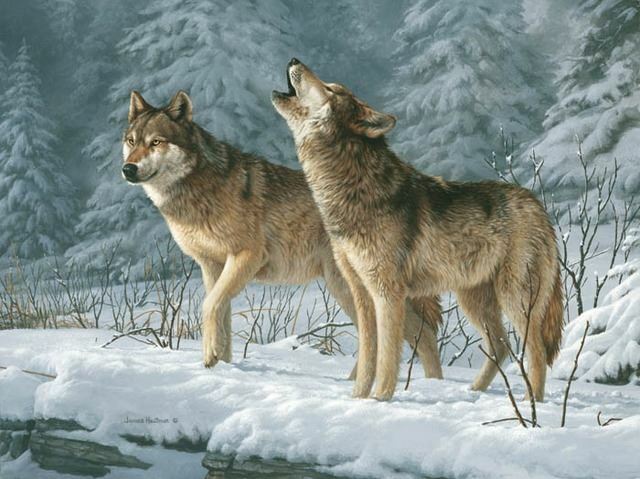 When Susan Tiberghien set up GWG I didn’t join at first, as I was writing commercial non-fiction at the time. GWG has been an inspiration to me in getting my book out in the world. The support of the group, the Forgers small critiquing group and of course Susan Tiberghien has been precious to me. This is why I wanted to become involved in the voluntary side of GWG. This year I am the coordinator of the GWG Literary Prize with its three categories – fiction, non-fiction and poetry. The deadline for submissions is 24 April so I expect to be very busy around that time. You can find more details about how to submit below. Join GWG and a small critiquing group. Writing is a lonely activity and you need support around you. Enter competitions, such as the GWG Literary Prize, as they will give you the stimulus to write. In terms of a creative writing MFA, I am in two minds. I began mine at Kingston University London’s Low Residency. I enjoyed the low residency part but found the on-line courses frustrating. Nevertheless I did my best writing there and met many exciting writers. Poet, songwriter, and novelist Naomi Shihab Nye has won many awards and fellowships including four Pushcart Prizes and the Paterson Poetry Prize. In 2009, she was named as one of PeaceByPeace.com's first peace heroes. Her first collection of poems, Different Ways to Pray, explored the theme of similarities and differences between cultures, one of her lifelong areas of focus. 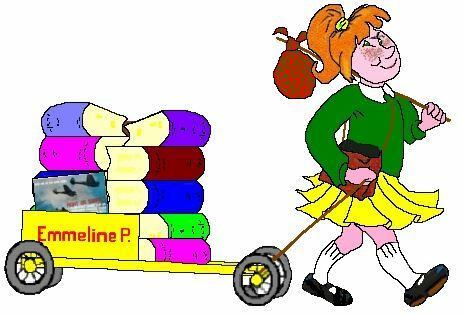 Other books include poetry collections 19 Varieties of Gazelle: Poems of the Middle East, A Maze Me, Red Suitcase, Field Trip and Fuel; a collection of essays entitled Never in a Hurry; a young-adult novel called Habibi and a picture book, Lullaby Raft. Nick Barlay's latest book, Scattered Ghosts, explored his Hungarian Jewish family history and was longlisted for the Wingate Prize. He has also written four highly acclaimed novels and was a Granta Best Young British Novelist nominee in 2003. His wide-ranging journalism has covered London, including a long-running series for The Times, as well as East European culture and politics. He regularly teaches fiction and non-fiction, including Guardian Masterclasses in family history. Karen Sullivan, publisher at Orenda Books, was a Bookseller Rising Star in 2016. She moved to London from Canada where she worked for a small publishing house before leaving to forge a career as a health editor and writer. She wrote about raising children, emotional health, discipline, bullying and nutrition. She returned to publishing through a part-time job in a small independent, which soon became full-time. Realizing how much she missed ‘front-line’ publishing, she set up Orenda Books, specialized in 'beautiful, readable, unforgettable' commercial fiction 18 months ago. Orenda Books was shortlisted for the Nick Robinson Newcomer Award at the Independent Publishing Awards (twice). Entries need to be submitted by 12 mid-night on 24 April, 2017. There’s no fee to enter the Literary Prize but you must be a fully paid GWG member. Make sure your membership is up-to-date. Send your entry as an attachment to your email to gwglitprize2017@gmail.com with the subject line GWG Lit Prize: Poetry (or) GWG Lit Prize: Fiction (or) GWG Lit Prize: Non-fiction. Your entry should not appear in the body of your email. Give your name in your email as you’d like it to appear should your entry win, and add your contact details as listed in GWG membership records. Make sure your entry has a title which you will mention in the body of your email. Do not include your name in the attachment – only identify it by its title. Obviously both titles must be the same. You may enter only one category. If you have won FIRST PLACE within the past three years, please do not enter that category again this year. However, you may enter a different category. Only previously unpublished work may be submitted. Your entry cannot be altered once it has been submitted. Winning entries will not be published by the GWG online or in print. Writers retain full rights to submit their works elsewhere. Each category has a first place, a second place, and a third place winner. For fiction or non-fiction, double-space your text and save as a Word document, 12-point type. Do not exceed 3,000 words. For poetry, format as you wish. You may submit one or two poems, number of lines up to the poet. Do not exceed a total of 3,000 words for both. If you are submitting two poems, attach each as a separate file. Save as a Word document, 12-point type. 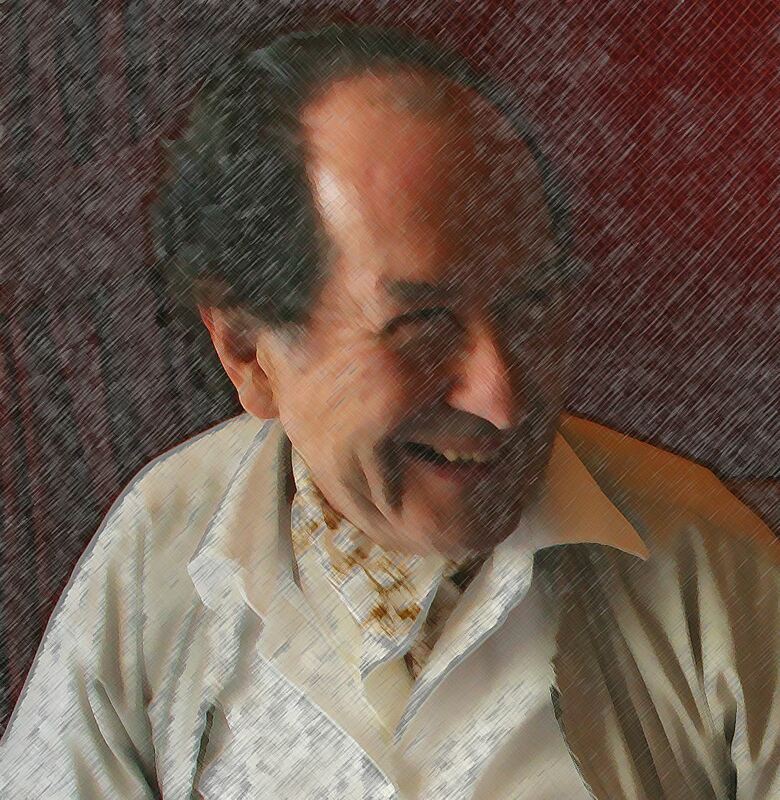 If you've been a member of Geneva Writers' Group for more than a couple of months, you will no doubt have met Peter St John Dawes with his gentlemanly manners, witty poetry and his mischievous alter ego Jenno Bryce, who even has a blog of her own. Peter has published seven novels in the Gang series about children in the village of Widdlington during the Second World War, as well as two other full-length novels (all available on Amazon or via Silverwood Publishing). You can find Peter on his website, on Twitter and on Facebook. Thank you, Peter, for answering our questions about writing and publishing. My career as a chartered engineer, and later in the parliamentary area, required much writing of technical reports. However, after retirement I began to write stories about village gangs of children in the early years of the Second World War. My original intention was to write a series of short stories or vignettes, but when the first short story grew to novel length, I decided to continue to write novels. As to why I wrote them, I am not very sure. Perhaps I just wanted to capture the spirit of childhood in a setting very different from that of today. Perhaps I also wanted to say something positive about fundamental human values, in dangerous times. To be honest, I don’t know with any certainty what my genre is. Because the setting of the “Gang” books is more than fifty years ago, they can be classified as “historical fiction”. Because I felt that my work could be enjoyed by all people from 9 to 99 years of age, the “Gang” books don’t fall neatly into a genre such as “Children” or “Young Adult”. Indeed, adults seem to enjoy my stuff as much as younger readers. Some adults have contacted me to say that they bought the first book because they thought it would be about adult gangsters, but discovered with pleasure that it was not about those kinds of gangs at all. It is the characters themselves, as well as the village settings in which their adventures take place, that give me the incentive to continue. With hindsight, I can see that there has been some influence from Richmal Crompton’s rampageous “William” series of stories, as well as from the delightful children’s books of Arthur Ransome. A further influence is perhaps Ronald Blythe’s absorbing study entitled “Akenfield – Portrait of an English Village”. My publishing journey has been a long, momentous adventure, which almost warrants a book to describe. A resumé of this experience would include my initial acceptance as a so-called “mainstream flagship” author with a publisher who subsequently went out of business. I was accordingly forced into becoming a do-it-yourself writer, publishing e-books on Amazon and Smashwords, as well as doing my own printing and binding. Finally I discovered the “empowered publishing” of SilverWood Books Ltd. This enabled me to again put my books out into the world in paperback format, starting with those that had gone out of print through the failure of my first publisher. I enjoy interacting with my characters and participating with them in telling their story, Making the illustrations is an enjoyable occupation too, even though they require a lot of time to prepare and add to the cost of the book. 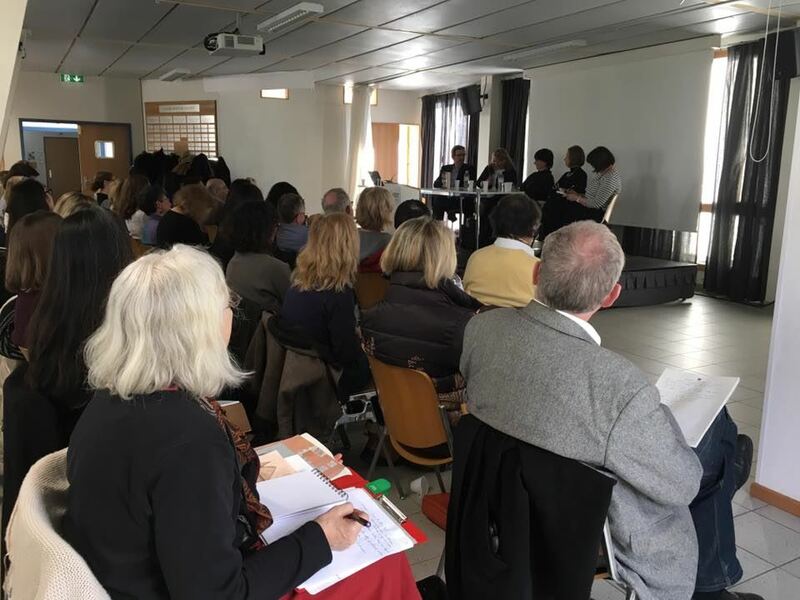 I also very much enjoy the camaraderie of fellow writers, and participating with them in workshops such as those run by the Geneva Writers’ Group, as well as the small group of writers that meets regularly at my house for critiquing sessions. What do you find most difficult about writing? The first thing I do, is to sit down comfortably with a long drink at my elbow, and go over the project in my mind. I then sleep on it for several nights. Finally, I sketch a plot outline rather like a film story board. It may even contain some drawings. The eventual writing may stray away from the plot outline, as the characters press to introduce their own ideas. Even so, the outline provides a frame of reference on which to hang the action and keep the characters more or less on the storyline. I nearly always have to hand a notebook in which I jot down stuff that could be useful. This is particularly handy for brief ideas that come in the night, or during a writing workshop. I’m sometimes astonished later, to see night jottings that I have no recollection of writing. Some of them are good and useful. I am surprised by the fact, that I have published 16 titles since my first novel, “Siberian Summer”, in 2007. However only nine of these books are novels, the others being booklets mainly in electronic format. Several other titles exist in draft, but may never be published. Don’t, unless you intend to do it for the fun and the adventure, and are ready to accept the inevitable disappointments with good humour. We always love hearing from our members. If you are a published author and would like to be featured in our series, please get in touch via email or in the comments below. 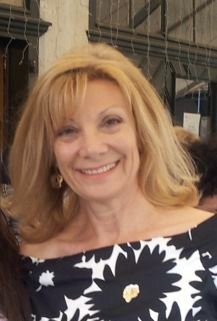 Guest post from former GWG member, instructor and great friend Carmen Bugan, now living in the US. For a beautiful review of her latest collection of poetry, see here. You can buy her book here. Meanwhile, just sit back and enjoy this brief meditation on the redeeming power of language in literature. I have said elsewhere that today's English language suffers, and I keep returning to that thought because the evidence is everywhere. Our language suffers from materialism, texting-talk, marketing-speak, slogans, an obsession with celebrity, a fear of 'the other'. You could say it reflects our character which craves a fast answer for every want and constantly searches for the easiest way out, a quick scheme to get rich and a magical recipe to eternal youth. I wonder how much this contributed to the recent election, and more-over, to keeping in the White House a man who makes life-changing political pronouncements via Twitter. We are all better than that and deserve more than being tossed from one quick promise to another. We are capable of self-reflection. Signs of this abound in the endless stream of protests on the streets where you could feel America is more alive than ever before. Metaphorical as it is, literary language constitutes a major resource. The protests on the streets of this country, the loud town-halls that are becoming a force of nature, might be touching the nerve of life as ordinary people are feeling ‘war-mad on a stricken field and refusing to quarter.’ Maybe the spirit of America is Buck, ‘leading the pack’, ‘sounding the deeps of his nature’ harking back to freedom. Or maybe readers will find the resilient spirit of this country in other books, in other stories, in other metaphors, in other words equally filled with ‘the tidal wave of being’. In the current political situation, which is chaotic and mad, there are books which we can open and could open us and perhaps, for the moment, they could be our first aid by keeping us steady. Who's Afraid of the Big Bad Publishers? Not Us! This past weekend the Geneva Writers Group hosting the by-now-traditional Meet the Agent and Publisher event on a sun-filled Webster University campus. Agents Joelle Delbourgo and Eric Ruben from the US, agent Jo Unwin from the UK and publisher Karen Sullivan of Orenda Books all joined us for two days, giving both general advice and answering questions about getting published, as well as more personal feedback for a lucky few who had requested one-to-one feedback on previously submitted material. We worked our guests really hard, but we didn't spare the blushes of our members either, as one of the highlights of the weekend was the 'Saved by the Bell' session of reading anonymous first pages, with our guests ringing the bell at what point they would stop reading if this had been a genuine submission. Harsh but incredibly educational. We all learnt so much more from this practical exercise than from listening to any number of well-known precepts: 'Don't over-use adjectives... hook your reader in... start the story in the right place.' If you want to read more about this gruelling process from someone who too part in it, turn to Nancy Freund's blog post, while Marina Sofia talks about lessons learnt. Another participant, Jo Christiane Ledakis, has sent us this feedback from the event. Thank you to GWG, Susan Tiberghien, and the Steering Committee, for a magnificent “Meet the Agents” event. And very special appreciation to Sanda Ionescu for the dedication, efficiency and enthusiasm in organizing a meeting that brought together four highly successful and experienced exponents of the professions dear and vital to every writer’s heart: two literary agents from the US and a literary agent and a publisher from the UK. They each evoked their fascinating trajectories and fields of interest, offered precious information and advice, and answered multiple questions posed by an eager throng of writers, including an intimate inquiry about each panelist’s “holy grail”, with unparalleled patience, candour and generosity. The judging of the anonymous first pages was a thrilling and rewarding—even if occasionally slightly painful—exercise, with ripples of breathless attention and frantic note-taking here and there barely giving a clue as to who among the stone-faced assembled was the author of the item under the scalpel. Reassuringly, the four bells of judgement did not routinely converge at the same cut-off point but often tolled at different times, reflecting welcome divergences of taste, openness and expectation. We are now armed with advice on the many elements required for success: professional query, distinctive voice, writing-about-what-you-know, passion, clarity of purpose and positioning; irresistible pitch, hook, cliffhanger, strap line, nugget for the short attention span; action moments and endings; platform and audience; research to zoom in on the right agency/publisher-fit; and, crucially also, the importance of networking and using the social media. For those lucky enough to have had a 20 minute one-on-one interview, the advice could be personalized and more specifically tailored to the work submitted. Our question in a nutshell: how can we make sure that the fantastic first sentence into which we distilled our all will hit the mark? We were handed the answer: make the hairs at the back of the neck of your agent prickle, give your publisher goose bumps. Clearly, several among us have mastered this art: their first page silenced the bells and triggered a round of applause. Reason for cheer for all of us and a clear sign of the success of the 2017 GWG Meet the Agents event. With it, one more dream of the founder, Susan Tiberghien, who brought over and adapted the event from the US, became reality.